Pinterest is the number 2 growing website in terms of new members, only second to Facebook. It can be a fantastic and effortless way to get customers right to your website. However for the traffic to start pouring in you must treat your profile like you do your website- make sure it is keyword rich and SEO friendly. Although this isn't everything here are a few ways to start increasing your traffic on Pinterest quickly! Gone is the world where our username is something simple like our name or brand. Your username is now a chance for customers to find you and that is only done through on-brand keywords. For example, my username is not "WildGoose Creatives" but I include keywords which incompass clientele I am trying to reach. For your username come up with two keywords that you can use. Who you are and what you offer or who you help and what you offer. Your bio is a great opportunity to capture clients. This area lets people know who you are and what you can do to help them. For this field make sure you put in what you do, who you target, and an opt in. An ideal opt in form offers the client something for free. Whether it's a free download, newsletter, or graphic this is your chance to capture email leads. Your boards are a reflection of your brand and what it offers your prospective client. I see too often clients that have boards that have little to do with their brand. For instance, as a marketing specialist, I should not have boards on there about "recipes" or "working out". These things may interest me or my clients but my brand has nothing to do with that. Instead, I focus on topics that are of interest to my client and things that I often assist with. If you need help, search for brands that are similar to yours and see what kind of boards they have. If it seems on brand or in your niche then it could be a good board for you. Now that you have picked out 15-20 boards that encompass your brand, you need to make sure they are keyword rich and on brand. For each board, you want to have two things. First, you want a brief description of what clients will find on the board, then you want to add a few keywords so your board can be found. A great way to come up with keywords and phrases is to type a keyword into Pinterest and pay attention to what pops up underneath it. Your Pins that come from your website and link to either a blog post or product have several places to enter in a description. The first comes straight from your website in your alt text. The second is on Pinterest in the "description field". This area is similar to your boards as you want to enter keywords and phrases that relate to the item you are linking to. I suggest adding a few keywords and phrases and then add 2-5 hashtags. Yes, I said hashtags, Pinterest had tried to do away with hashtags but they are back and now is a good time to start experimenting with them. Pinterest gives you an easy way to find relevant hashtags. When you pin a brand new pin a few options will pop up for hashtags related to your pin and how many pins are in that category. Use this as a guide, you don't want to use a hashtag that only has 4 pins but it's arguable that you don't want to use one that has 1 million pins either. 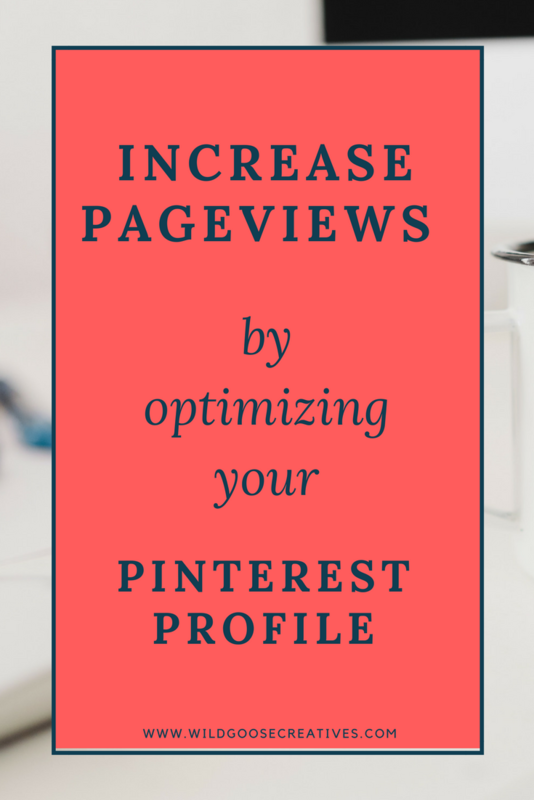 If I can leave you with one piece of advice, it is that when you start treating your Pinterest as a search engine rather than a social media platform, you will begin to see an increase in page views to your website. Feeling overwhelmed? 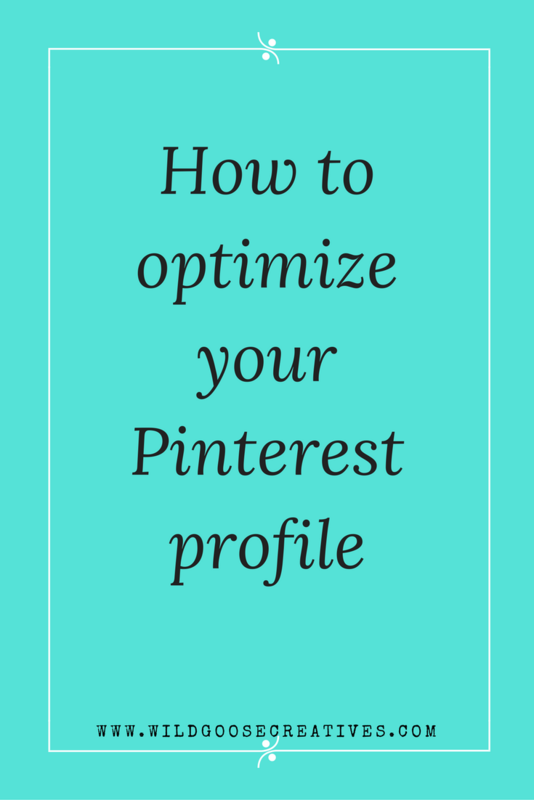 I offer Pinterest Profile optimization so you don't have to lift a finger!